In this section, you can find out more about the photon source and about the theory that is behind the generation of synchrotron light at a storage ring or a free-electron laser (FEL) and the experiments. 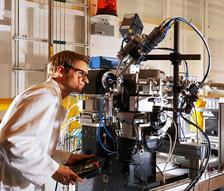 These primers give you an overview of the theory behind research with synchrotron light. To understand most of them it would be useful, but not always necessary to have some university-level education in physics. This primer will give you an overview of the meachanisms governing the creation of synchrotron light and the properties of the resulting light. Click here to find out more about the specific techniques which employ synchrotron light to probe the structure of matter. 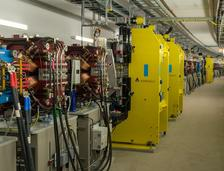 This section explains how the components of a storage ring and a beamline work and how together they deliver synchrotron light to the experiments.